The Uganda Police Force has learnt that tomorrow 5th April, 2016, RTD. Col Dr. Kiiza Besigye will attend prayers at the FDC party Headquarters at Najanankumbi. The prayers shall be held within the enclosed party premises and this therefore does not violate the law. What is of particular security concern however, is information that after the prayers RTD. Col Dr. Kiiza Besigye intends to drive in a procession from Najanankumbi through Clock Tower to Container Village which is one of the most highly populated areas in Kampala City. The purpose of this statement therefore is to caution RTD. Col. Dr. Kiiza Besigye to desist from carrying out any procession tomorrow because he has not notified the police in time as required by the Public Order Management Act sec 4 (1) 5(1). Violation of this law calls for sanctions as provided by the Act. The public is strongly advised to shun anyone who tries to involve them in any unlawful activity that is likely to disrupt safety and peace within the city and which could result into damage to lives and people’s properties. The saga continues. The race between the Amama Mbabazi new position in the TDA has set things on fire. The same is with the FDC and FDC Youth Forum whom has rights to question the position of their flag-bearer which they wish to have as the leader of the opposition and not the fallen out of grace from the NRM which the other guy has. “The group of FDC youth have raided storm Royal Suites Bugolobi, the venue for the TDA summit meeting demanding for their party’s withdraw from the opposition alliance” (Odongo, 2015). “The youth who were armed with placards demanded that Besigye leaves the summit and announces that FDC has quit the Alliance. Despite hesitating, Besigye came out of the meeting to address the rowdy youths. He advised them to go to the party headquarters in Najjanakumbi where he would address” (…)”The Youth were lead by MPs Odongo Otto, Geoffrey Ekanya and Jack Sabiiti who some days ago petitioned that FDC withdraws from the Alliance” (Waiswa, 2015). 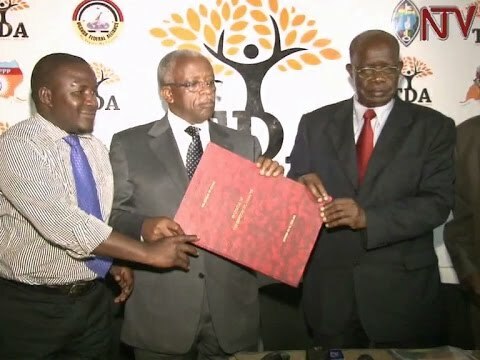 “The National Candidates Selection Committee of the Opposition coalition, The Democratic Alliance, recommended Mbabazi as the most favorable to joint presidential candidate. Not long ago Mbabazi as prime minister was being faulted by the opposition for stifling democracy in the country” (Waiswa, 2015). “Dr Kizza Besigye, the FDC flag-bearer in the 2016 presidential elections has called for restraint and calmness after a group of radical party youth dragged him from a meeting of The Democratic Alliance on Thursday” (…)”The youth warned that FDC would not accept TDA’s endorsement of Amama Mbabazi as the alliance’s flag-bearer in the 2016 election, as alleged in the media” (…)”The youth claimed that while they did not have anything personal with Mbabazi, his alleged “involvement in the suppression of our struggle are still fresh in our minds, he is responsible for our continued suffering” (Aine, 2015). Dr Kizza Besigye said this: “Our people are concerned by this alleged unfairness” (…)”They are saying the process is unfair. The people are right, it must be questioned. The process must fair” (…)”NEC must sit and discuss concerns of unfairness. People are confused that how can a coalition of opposition support Hon Mbabazi who is an NRM member” (Aine, 2015). Well, with the recent actions from the FDC Youth Forum proves that the issue of whom is running for the flag-bearer post in the TDA. That will also create issues between the parties in the alliance and coalition. The frictions that it takes when a independent man that was the former menace to society is now the front-runner of the opposition. Now he is the man to run for office after being split from the mothership or the party he was a poster-child in. Dr. Kizza Besigye was the same for the NRM, but went out earlier and was involved also from the Bush to the rewrite of the constitution so that President Museveni could sit until indefinite and not leave the office. So after that Dr. Kizza Besigye has lost elections in 2006, 2011. Who even made the issues with the government over the famous ‘Walk to Work’ riots! That’s why the FDC Youth Forum reacts when the opposition candidate to fight the NRM sole candidate who has been there since 1986, which everybody already knows. The issue that is concerning is the reaction, not from the Youth Forum since they already has addressed their plea. 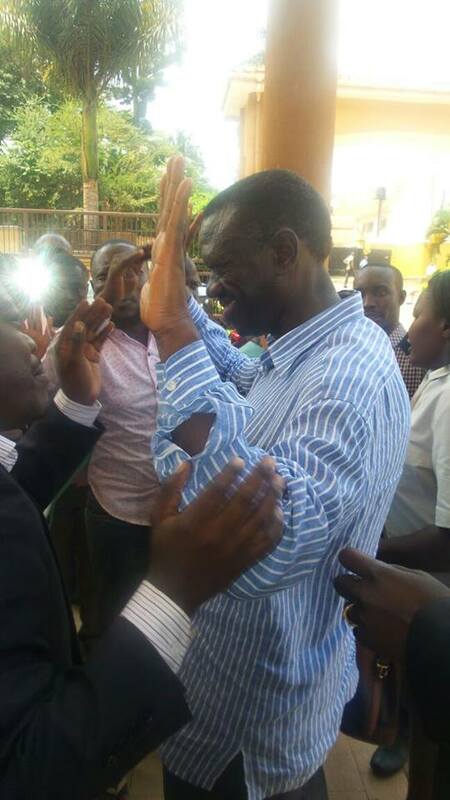 It’s the reaction from FDC flag-bearer Dr. Kizza Besigye who is the people’s president. That has addressed the matter and how it changes the power struggle in the coalition of the TDA. But it’s frightening if this is the way that Dr. Besigye is now addressing the procedures of NEC in the TDA. If this is now really weakening the coalition then it will hard to go back, that the issue becomes a struggle between Amama Mbabazi and Dr. Kizza Besigye, instead of a unity going to show strength towards NRM regime. They need to stay strong against it, if not the fractions and frictions will always be in a coalition, but the way it’s turning isn’t making a solid effort to achieve the changes in electoral reform and also making sure of giving an honest fight against the NRM party. If they go back to scratch then the time was a wasting in a unity that didn’t leave a trace in the 2016 race other than failure. That Dr. Besigye or any of the other opposition party leader want to see happening. Peace.